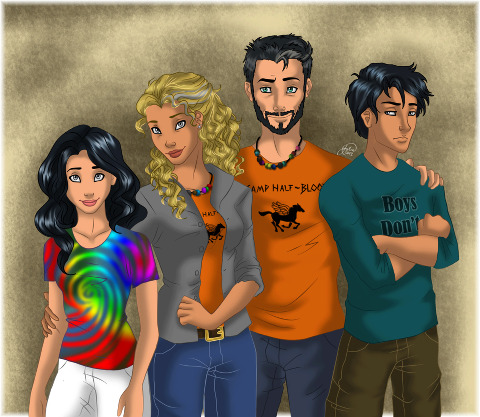 The Jackson Family. . Wallpaper and background images in the Helden des Olymp club tagged: percy jackson annabeth new character the heroes of olympus. PERCY LOOKS FUGLY! I think he should have at least kept a little bit of his teenage element. Otherwise, everyone else looks good! That shirt is trippy..omgs....ow....my eyes! Percy Can Pull Off Robert Downey Jr.